I fear this is going to be a quick round-up here as I have quite a number of things to get through this week before some days off over the Christmas period. 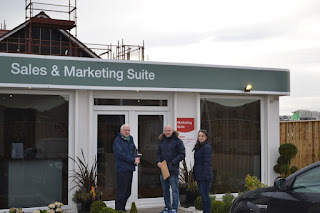 Since the beginning of December I have attended some wonderful events across the Ward, including Burntisland Christmas market - which showcased some fantastic locally handcrafted products. I got some rather lovely Yuletide Spice soap. 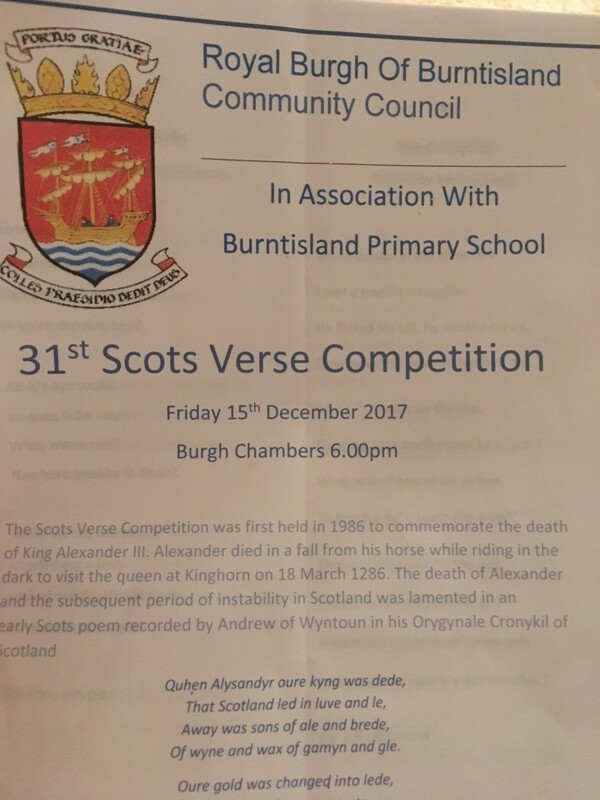 Despite the cold temperature it was a well attended evening and the Burgh Chambers had just been lit up so all added to the festive atmosphere. 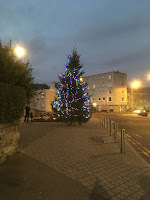 I also got along to the switching on of the Christmas lights on Kinghorn High Street which was accompanied by some carol singing - I resisted the temptation to sing too loudly though as I keep being told I just don't have a singing voice at all and am tone deaf! Hopefully I will be in attendance in Kinghorn again this Sunday for the final Sunday of Advent service. 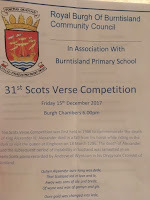 Last week it was back to the Burgh Chambers for the Scots Verse competition winners at the primary school to read to a thoroughly captivated audience. 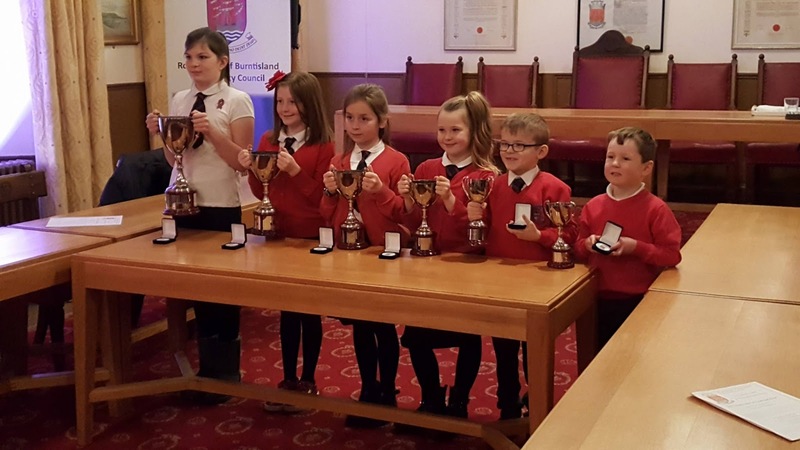 A huge congratulations to all the pupils - you were all fantastic! There is just one more community council to attend this month, that is Kinghorn on Thursday evening. 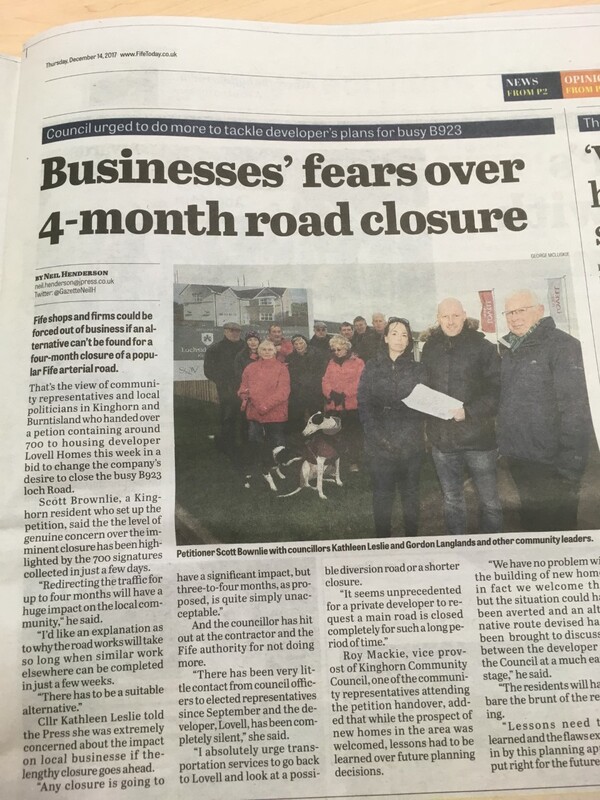 Just over a week ago I was at the Burntisland Community Council, where much of the topic was the proposed (and now signed off) closure of the B923 - the Kinghorn Loch Road. I wish to state here, again, that I am extremely disappointed about the whole process. 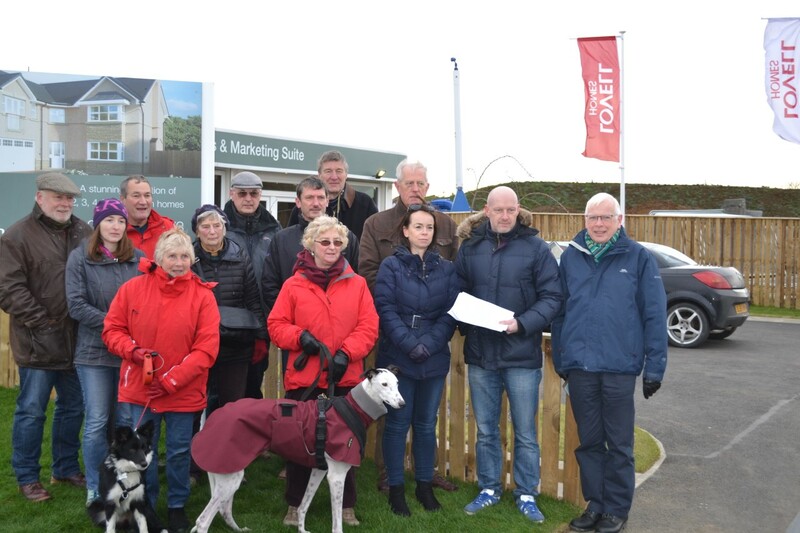 As I have said at the community council meeting and also to the local media - there has been a silence by the developer and there has also been a complete lack of communication on the part of Fife Council. 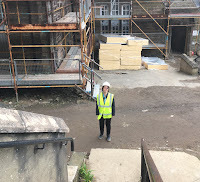 Additionally, the closure is going to force a much greater amount of traffic through Kinghorn and along the High Street - a street with a 20mph speed restriction and the local primary school just off it. Ironically (perhaps) whilst sitting in the meeting on December 5th a resident contacted me to state there had been an accident right at the end of the 20mph zone with a car that appeared to have speeded up. It has been indicated there will be more police speed checks but given the low visibility of the police across the Ward (another matter that requires a far greater discussion and which I am gathering information on) I am unsure whether we should feel assured by that. Signage is to be provided for anyone driving through, who had intended to visit any of the affected businesses, however, we are yet to see how effective that will be. At this stage work on the closed road is to take place between the hours of 8am - 6pm Monday to Friday and 8am to 1pm on Saturdays. Given that the road will be completely closed I am unsure why the working hours cannot be extended to speed the process up. 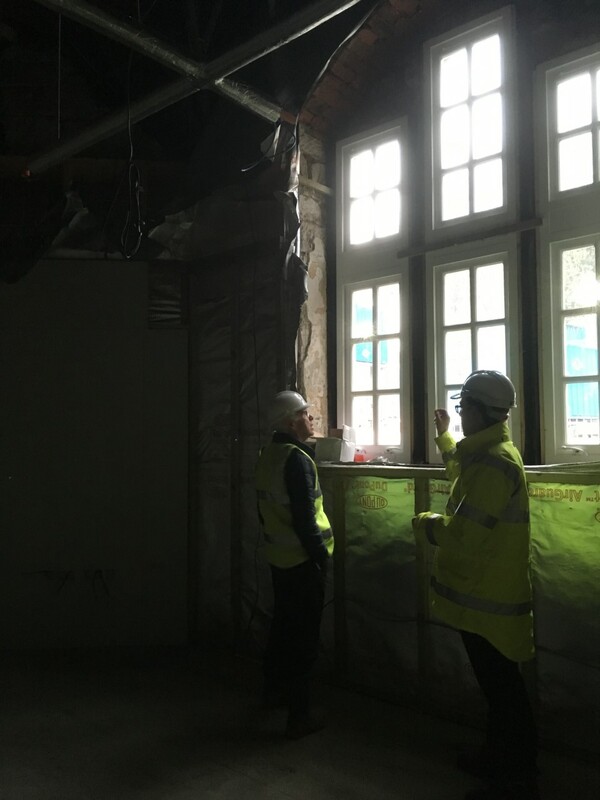 Again, watch this space for updates. 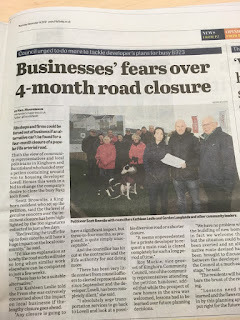 "To ask Council that impact of potential road closures for extended periods, where local communities and businesses may be affected, is built into planning procedures for new housing developments"
I also asked a supplementary question if it would be prudent in future for private developers to be required to make any potential closures that could have a significant impact on local businesses to be covered during the initial planning process. The extended answers to both of these will be provided on this page once I have them back from Fife Council (I would prefer to wait until then rather than just using a summing up that may miss something out). 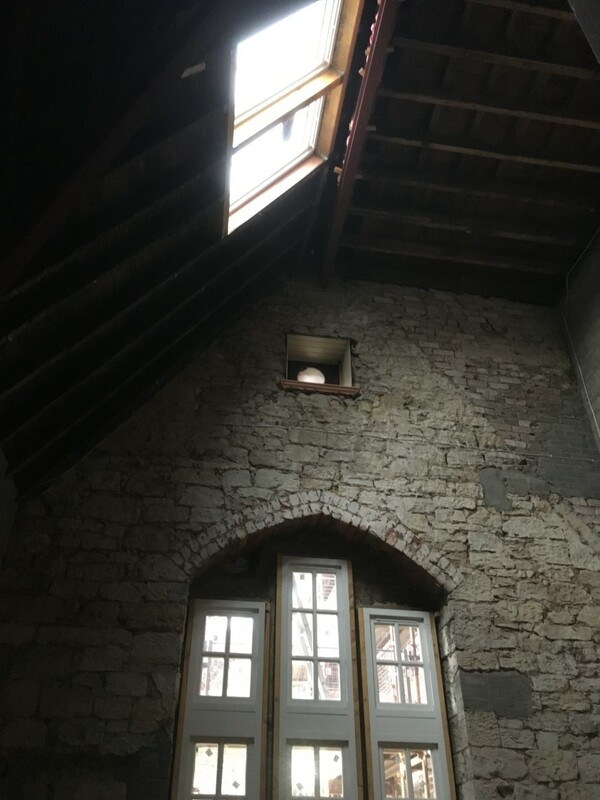 "Any closure is going to have a signification impact, but three-to-four months, as proposed, is quite simply unacceptable. There has been very little contact from council officers to elected representatives since September and the developer, Lovell, has been completely silent. I absolutely urge Transportation Services to go back to Lovell and look at a possible diversion road or a shorter closure. It seems unprecedented for a private developer to request a main road is closed completely for such a long period of time." Whilst I am well used to speaking in public and have been doing so for not far short of 2 decades now, I did still feel rather nervous as it was the first time speaking to this audience and of course, to an audience that included many opponents! What did I learn? Well, I think that rather than work out a speech that lasts for 10 minutes (which it did) I would be better to aim for 8 minutes as that may lessen the likelihood of feeling I had to read rather quicker than I wanted to. Additionally, following the debate I was given the opportunity for a 5 minute summing up to close before a vote. This part did not go so well as I felt I lost my train of thought and although taking notes on what others had said I think I should have prepared some exact words from my motion to reiterate and reinforce. However, it is all a part of the learning process! Disappointingly but not surprisingly the motion was defeated by the Administration. The link attached above explains what happened. 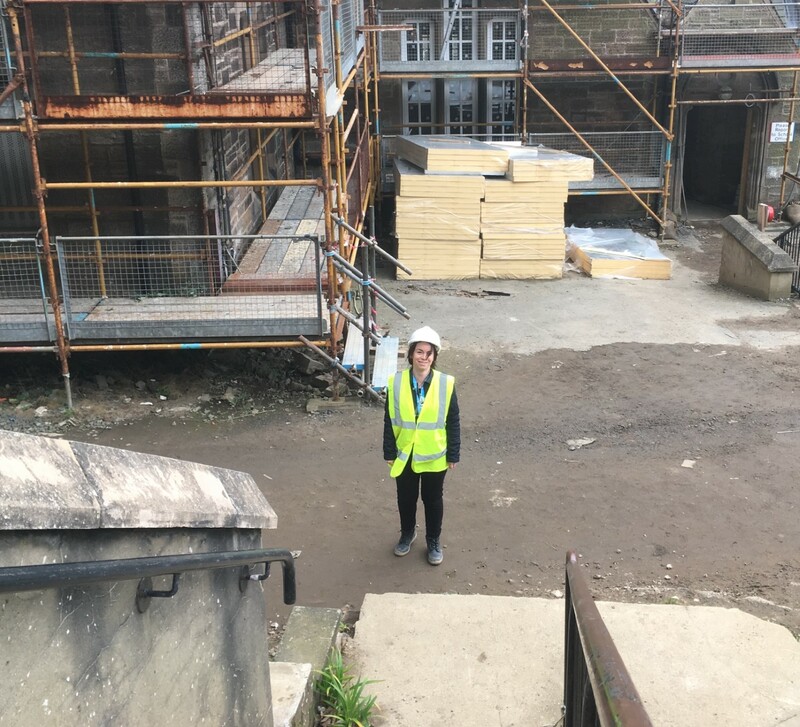 Earlier this month I also had the opportunity to revisit the old Burntisland Primary School which is currently being converted into flats. 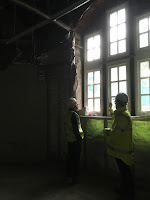 I last visited this site in August and was much enthused by the extent of development which has taken place since then. 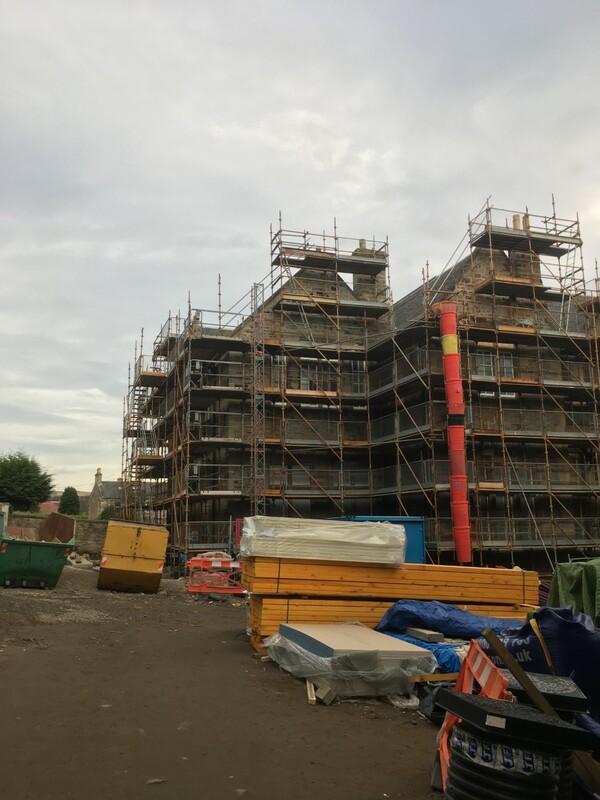 There will be 27 flats, with the majority to be rented through the Council and a smaller amount as Mid Market Rental through a housing association. (More information on this development is on my councillor Facebook page, I had thought I had written a blog post about it but that does not appear to be the case. I will aim to provide more of an update and detail sometime soon). Today I have a number of pieces of constituent correspondence to pick up on and complete a current draft piece of work on the Consultation that is live on the Education (Scotland) Bill - please do take the opportunity to complete this. Changes to educational governance (which I have written about) and the role of the headteacher is changing. It is important that your views are heard. If you are a teacher, parent or carer you should have received details of how to complete the consultation - it is open to all though. I said this would be a quick post but as usual I have written more than I had intended to. This week I have also been out delivering my councillor leaflet across the Ward. If you haven't received this yet, I will be aiming to get more of them delivered of the holidays. All my contact details are listed so please do get in touch if you have an questions/queries/or concerns. Remember - we work for you! Finally, have a very Happy Christmas!